In the project Test Edits, you will use found footage to create a series of short video edits. Using found material to create “mash ups” that reveal something new about the original material is nothing new — the composer Charles Ives for example used found material in his orchestral work “Central Park in the Dark” in 1906 (see a lineage in this NYtimes article). In a world of media, copyright protection looms large. Motion pictures were protected by an amendment of copyright law as early as 1912! Sound recordings however took much longer. It wasn’t until 1976 (99 years after Edison started the recording industry) that recorded sounds were subjected to the same standards of copyright as films. There have been many notable copyright troubles for artists, some of whom take on copyright as a subject in their work, and others who got into trouble for using images or other media without permission. 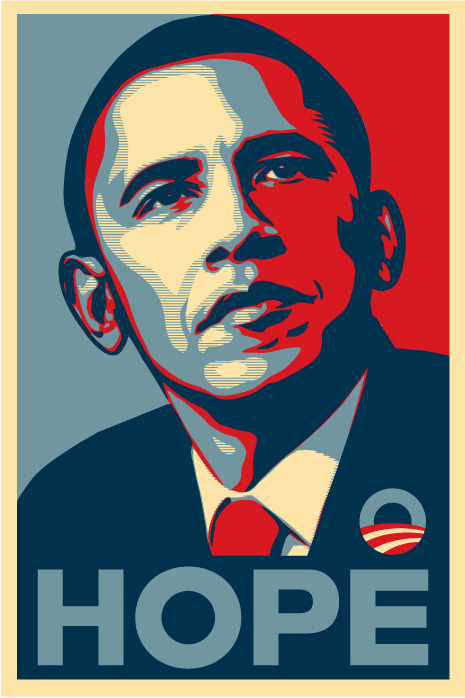 Two of the most notable being Shepard Fairey in his use of a photograph of Obama in his famous HOPE poster. And Jeff Koons who was sued for his use of a photograph of a man and woman holding a string of puppies. For this project I am asking that you use materials that are in the public domain, meaning they are free to use. The collection you will choose works from is the Prelinger Collection which can be found on the Internet Archive. Prelinger Archives was founded in 1983 by Rick Prelinger in New York City. Over the next twenty years, it grew into a collection of over 60,000 “ephemeral” (advertising, educational, industrial, and amateur) films. Please note that for this project you are ONLY to use sound and image from the Prelinger Archive. Here is the easiest way to get started looking for footage. 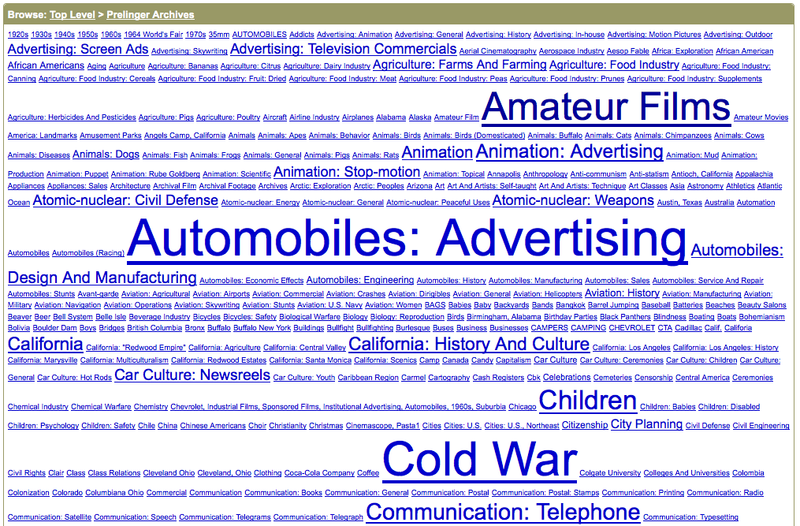 Look for themes that are of interest using the Prelinger Tag Cloud. Just click on a topic to see the films available for that topic. Once you have found a file that you want to use, look for the download links and control-click or right click the largest file to download it to your hard drive.